EOV is designed to be a non-punitive mechanism for continuous improvement. EOV is not a top-down assessment tool. It is designed to be a non-punitive learning mechanism for marketplace differentiation, continuous improvement, and ongoing peer support for land managers. 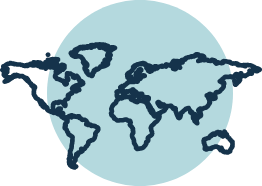 EOV is implemented by Savory’s global Network of regional Hubs, who work closely with farmers and ranchers in their given areas. Savory accredited monitors are therefore deeply knowledgeable of the local ecology and well versed in local operating conditions and management approaches. Those farmers seeking training, coaching and implementation support in order to improve their Ecological Outcomes can find such services with their regional Savory Hub and its network of producers. 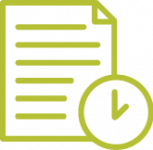 Several indicators in the EOV protocol provide rapid, instructive feedback for farmers in their daily management decisions. 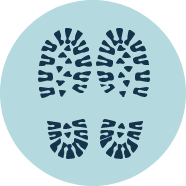 Every five years the regional Hub Verifier will collect additional data of slower indicators, such as biodiversity and soil carbon. The learning and understanding of correlations between Leading (fast) and Lagging (slower) indicators is an incredible asset in informing management. Farmers and ranchers better understand the potential of their own property within the operating conditions of their unique context. EOV is not a one-size-fits-all metric. Each EOV evaluation is contextualized within its given ecoregion. Each ecoregion contains its own biodiversity of flora and fauna and has unique characteristics for water retention, biodiversity, soil types , and so on. Using well recognized Ecoregions maps, contextualization follows by defining a catalogue of alternate states of soil and vegetation inside each ecoregion. (state and transition catalogue). Reference Areas are identified and monitored on those states that have higher biodiversity, resilience, and ecosystem function effectiveness. Reference areas are used to contextualize an evaluation matrix of Ecological Health, to be used in farm evaluations and verification of land health. Farms and ranches within that ecoregion are then benchmarked against that reference area, allowing the farmers and ranchers to better understand the potential of their own property within the operating conditions of their unique context. EOV gives the land a voice of its own, through empirical and tangible outcomes. Many certification schemes are based upon an inventory of farmer practices. The problem is that the use of practices or tools does not guarantee that regeneration will take place. Outcomes depend on how and when practices and tools are used, and that depends on contextual variances in cultural, environmental, and economic conditions. EOV gives the land a voice of its own, through empirical and tangible outcomes, which in turn provide the farmer with ongoing feedback from which to make better management decisions. EOV measures and trends key indicators of ecosystem function, which in the aggregate indicate positive or negative trends in the overall health of a landscape. 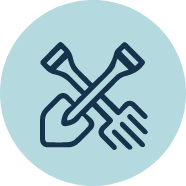 In addition to providing an outcome-based verification of the health of the land base, EOV also provides critical intelligence to the farmer as a steward and manager of the land. By recognizing both land regeneration targets and trends, EOV endorsement and associated incentives are bestowed as long as land health moves in a net positive direction. Sustainability is a bridge. Regeneration is the destination. Indicate interest via our website, or contact your regional Hub. Regional Hub Verifier schedules a farm visit, and establishes monitoring sites and baseline for both Short- and Long-Term Indicators. Regional accredited monitors visit the farms to conduct the annual Short Term monitoring. 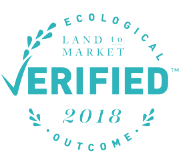 If results trend positive in the context of the ecoregion, Verification is granted/renewed and the farm is entered into Land to Market Verified Regenerative Supplier Roster. Regional Hub Verifier returns to farm to conduct Long Term monitoring. If data trends positive, Verification is granted/renewed and farm remains on Land to Market Verified Regenerative Supplier Roster. "Having EOV on my land has given me a tool for continuous improvement and entry into desirable market opportunities. It's a win win for my business and my land." What is Ecological Outcome Verification (EOV)? The EOV is the scientific methodology that measures and trends ecological outcomes on participating producers’ land. It can be considered the empirical backbone of the Land to Market program. What are the origins of EOV? The EOV has been built on Savory’s Holistic Management (HM) comprehensive biological monitoring methodology. It has been taken to a whole new level of scientific rigor by working and collaborating with scientists and research institutions that understand the importance of this work for climate, water, and food security, and for the ecological integrity of grasslands worldwide. EOV assesses key indicators of the effectiveness and health of ecosystem processes — criteria such as soil health, biodiversity and ecosystem function (water cycle, mineral cycle, energy flow and community dynamics). 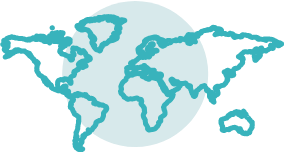 Each Hub in the Savory Global Network is a contributing organization and their producer and scientific networks are constantly providing guidance and input. 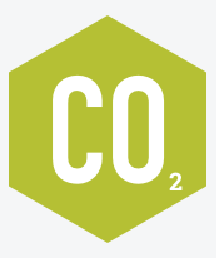 Ovis 21, a Savory Hub, has led the creation of the scientific methodology, in collaboration with scientists at Michigan State University (MSU), another Savory Hub, and with input from scientists and from research institutions around the world. Pablo Borrelli of Ovis 21 and Dr. Jason Rowntree of MSU and are taking the lead in aggregating and analysing the emerging data from the participating Hubs and their producer networks. They will be joined by other research institutions and scientist groups in our global network with the goal of creating one of the largest global databases for monitoring grassland health and associated ecosystem services that will inform the public, policy makers, and markets. 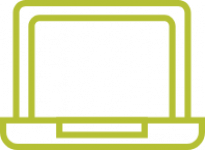 How is EOV different from other certification programs? EOV is designed to engage farmers and ranchers around the world in continual learning and support toward their enduring success both as business leaders and as land stewards. To that end, the key difference between EOV and other certification programs is that it is driven by producers, from the bottom up, with outcome-based benchmarks, rather than from the top down, with practice-based benchmarks. The goal of Land to Market is not to compete with other certification programs, but rather to add value to them, by providing producers with the critical tools and knowledge they need to affect a profound improvement in ecological systems around the world for years to come. How can I get involved as a farmer or rancher? Producers engage with their regional Savory Hub, which deploys a Verifier to visit their property and begin the process of setting the farm’s baseline and collecting trended data. The Verification is repeated and renewed annually, with Long-Term monitoring occurring every five years. 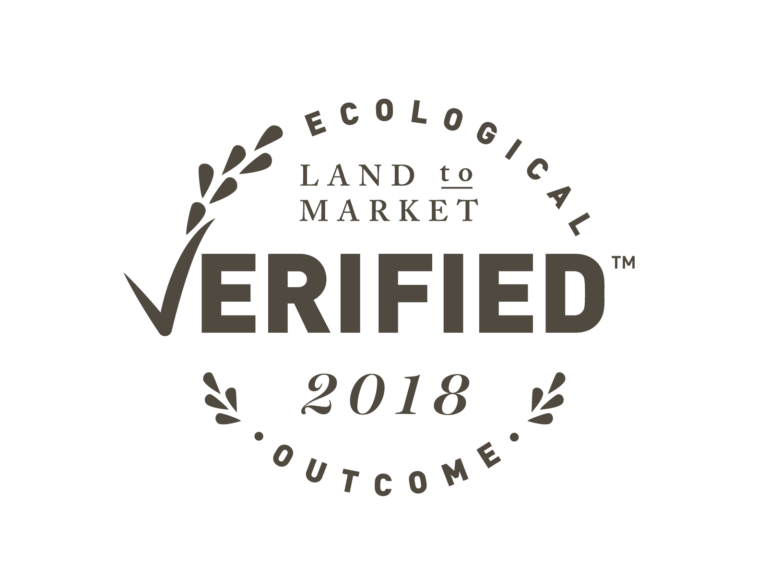 If the EOV is received, the producer will be entered into the Land to Market verified regenerative supplier roster, which affiliated brands, retailers and end consumers will access for their sourcing needs. Producers not receiving EOV (ecological outcomes trending negatively in the context of their region) may continue to engage with their regional Hub for training and implementation support. 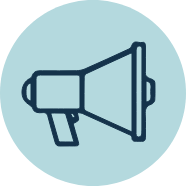 In short, the EOV is designed to invite the producer into a shared process of continual improvement in community with their peers. Please see the onboarding section of the EOV Protocol for more information. What product categories does EOV apply to? Currently the EOV protocol is being deployed in land bases of livestock operations, namely meat, dairy, wool and leather. Future phases of the program may incorporate land bases dedicated to raising other products or offering other services such as ecosystem services or hospitality. How much does it cost to participate in EOV? Each regional Savory Hub sets up their own pricing structure for baseline and annual monitoring visits, and fees for participation are negotiated with and paid directly to the regional Hub by the participating farmer or farmer group. Baseline and Long Term Monitoring visits typically involve 1-2 days of work by a Hub Verifier. Short Term Monitoring will depend on the size of the farm, but typically will take one or two days. What if I don’t have a regional Hub in my area and I want to participate? Savory Network Hubs are the program’s primary mechanism to evaluate and verify new producers. However, if your operation is not near an existing Hub we have a network of Master Verifiers and Accredited Field Professionals who may be able to work with you. Please contact us and we will put you in touch with the appropriate representative. I don’t see my question answered here. Where can I go for more information?